A handy notepad with a magnetic back designed to attach to the fridge or other metal surface. 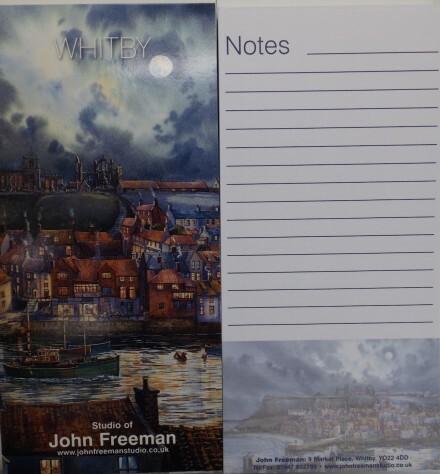 Featuring Whitby Nocturne by John Freeman. Approx 80 pages.